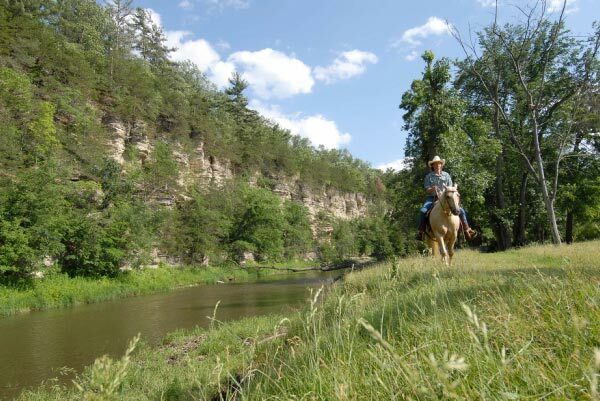 In the mid-1800's a stagecoach trail along the Root River in southeastern Minnesota was the state's most traveled highway. Conserved with TPL's help, a new 90-acre Olmsted County park protects a section of the trail, and connects two parcels of existing conserved land. All this preserves a biologically significant area, and creates new opportunities for canoeing, fishing, picnicking, and camping in a rapidly developing area of southeastern Minnesota.